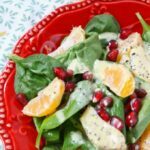 Salad recipes are always ubiquitous in the summer with all of the fresh produce on offer, but winter has its own bevy of selections with delicious, seasonal fruit like clementines, pomegranates, and cranberries. 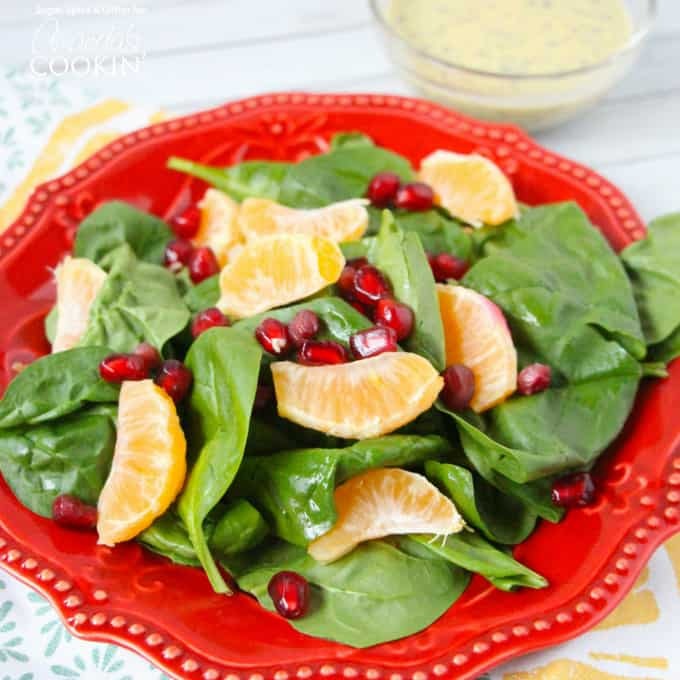 This Pomegranate Clementine Spinach Salad is a bright and fresh winter salad that will change any notion you ever had for seasonal eating. 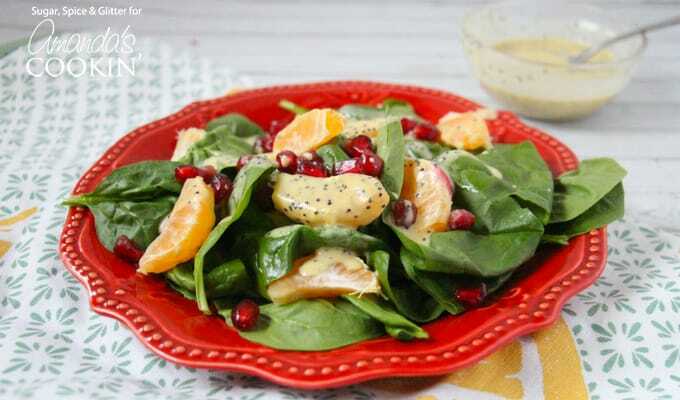 The orange poppyseed dressing in this recipe is really unexpected and delicious. It tastes creamy without the addition of dairy products or mayonnaise making it a healthy choice that you can also bring with you in your lunch without worry. But it’s those bright pops of flavor from the fresh pomegranate seeds and clementines that really steal the show. It feels indulgent and tastes just sweet enough to provide an appetizing alternative to the sweets and treats that we are bombarded with during the holidays. This salad would also be wonderful with some added protein such as grilled steak strips, fresh cooked chickpeas, or even some diced, rotisserie chicken. Feel free to mix it up in whatever way works best for you and your healthy eating goals. While I stuck to clementines for their “bite size” nature, if there is another citrus or winter fruit (pear, quince?) that suits your tastes better, use that instead. This salad works equally well as a filling main or a fun side salad – the recipe below makes 2 main salads or 4 side salads, so double or triple the recipe as needed. Do you have some healthy eating goals that this salad could help you achieve? 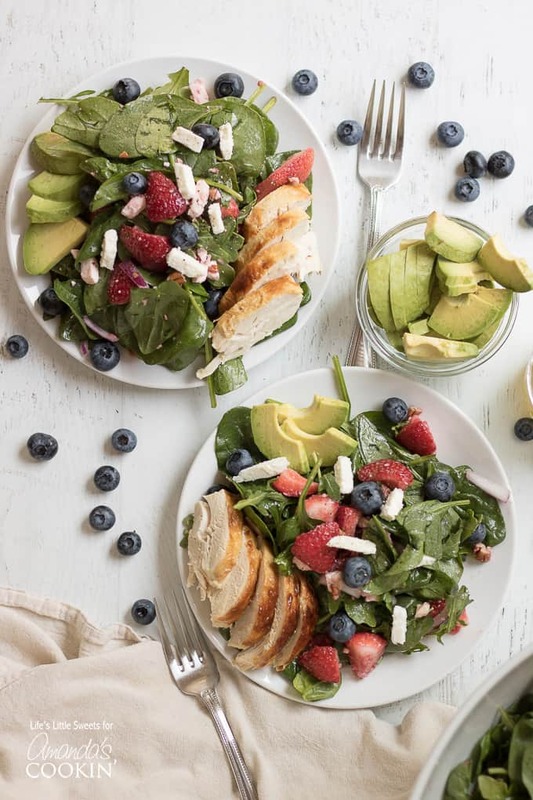 If you’re a sucker for a good, healthy, and filling salad recipe, you won’t want to miss our strawberry salad with spinach, blueberries, avocado and an optional addition of chicken. Who knew salad could be SO good? In a small bowl, mix together the olive oil, orange juice, lemon juice and dijon. Adjust to taste with the honey and salt. Add in the poppy seeds. 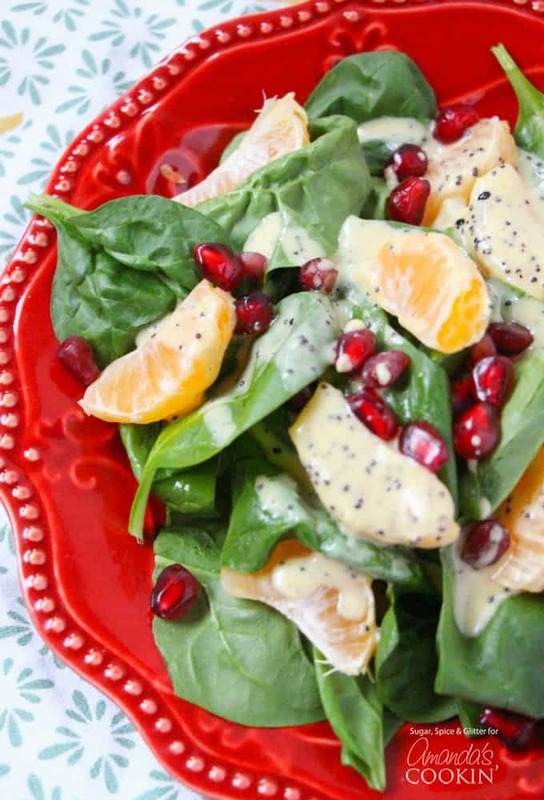 In a large salad bowl, toss together the spinach, clementines and pomegranate seeds. Drizzle on as much of the dressing as you desire and serve. Makes 2 main salads, or 4 side salads.